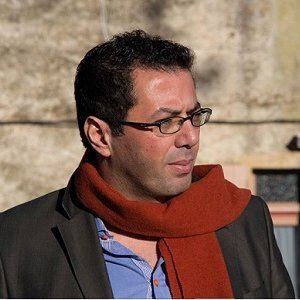 Dr. Ramzy Baroud’s delivery of the 2019 Hisham Sharabi Memorial Lecture will address the necessity of re-articulating the Palestinian narrative, based on the aspirations of the Palestinian people. He reminds us that they are the protagonists of the Palestinian story, the victims of oppression and the main channel of resistance, starting with the creation of Israel on the ruins of Palestinian towns and villages in 1948. “If Palestinians hadn’t resisted, their story would have concluded right there and then, and they too would have disappeared. Those who admonish Palestinian resistance, armed or otherwise, have little understanding of the psychological ramifications of resistance, such as a sense of collective empowerment and hope among the people. And for 70 years, Palestinians resisted, and their resistance in all forms molded a sense of collective unity, despite the numerous divides that have been erected among them. Please join us for this compelling event. Dr. Ramzy Baroud is a US-Arab journalist, media consultant, an author, internationally-syndicated columnist, Editor of Palestine Chronicle (1999-present), former Managing Editor of London-based Middle East Eye (2014-15), former Editor-in-Chief of The Brunei Times, former Deputy Managing Editor of Al Jazeera online. He taught mass communication at Australia’s Curtin University of Technology, Malaysia Campus. Baroud also served as head of Aljazeera.net English’s Research and Studies department. A contributor to many books, and the author of three including My Father Was a Freedom Fighter: Gaza’s Untold Story (Pluto Press, London, 2010), his books have been translated into French, Turkish, Arabic, Korean, among other languages. Baroud has a PhD in Palestine Studies from the European Centre for Palestinian Studies at the University of Exeter (2015) and is a Non-Resident Scholar at Orfalea Center for Global and International Studies, University of California Santa Barbara.